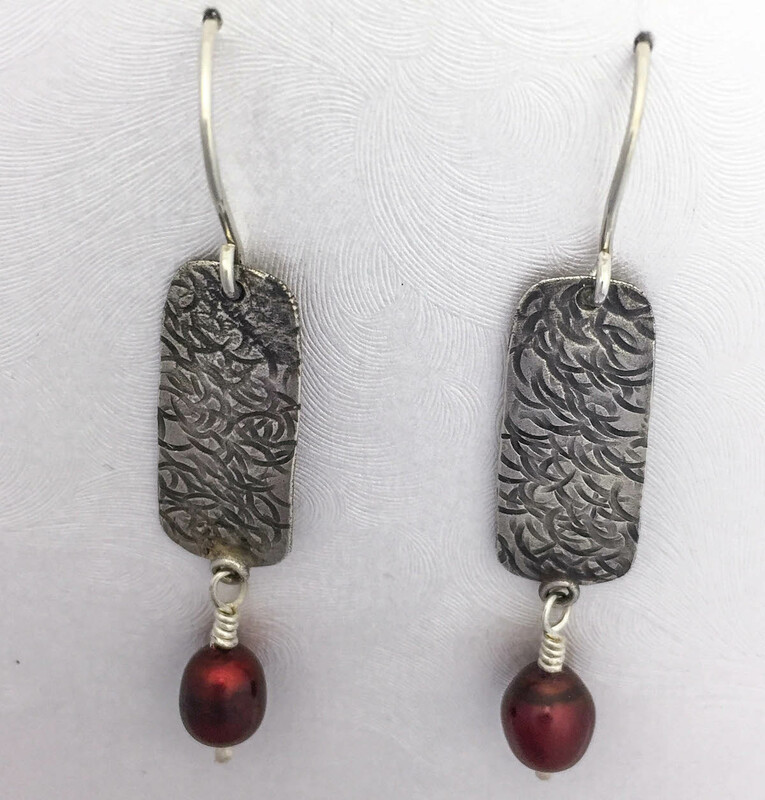 I hammer textured these Argentium Silver earrings then applied a patina to enhance the pattern. The metal piece is 1”x 6 /16” with deep burgundy fresh water pearls, for a total length of 1 ½”. Hand forged Sterling ear wires. Sign up here for updates on what’s new & where to see Kathleen Barris Jewelry in person!